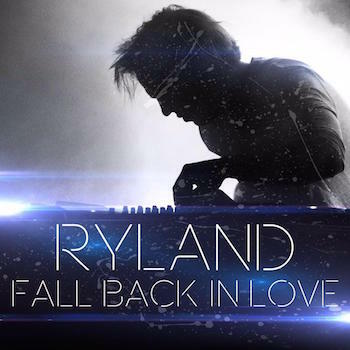 Ryland Releases First Single Titled Fall Back in Love | Home | Ready, 5et, ROCK! R5's second full length album debuts July 10th and tour has been officially announced! Catch Riker on ABC's Dancing with the Stars every Monday and be sure to vote each week! R5's latest single is officially here! Purchase and download your copy now! R5's latest single 'Smile' is finally here! Purchase and download your copy now! R5's second EP is finally here! Purchase and download your copy now! R5's debut album Louder is available now! Click for full details and to purchase your copy today! Get the latest on all R5 shows and events! Click to visit the R5 Event Center. Younger brother Ryland Lynch released his newest and first single today titled 'Fall Back in Love.' Ryland introduced his single to fans while touring with R5 during the Sometime Last Night Tour which kicked off back in late May of this year. To coincide with the release, the official music video for it was also released on YouTube. Click here to download Ryland's new single now from iTunes. Watch the official video for it below. What do you think of Ryland's new single? We love it! I totally love this song!!!! !